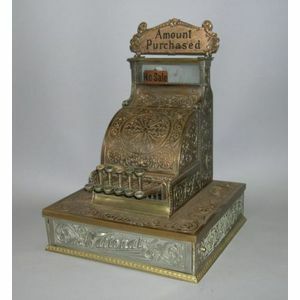 Model 6 National Cash Register, No. S38760, with two rows of keys, marquee, and brass foliate-cast case with drawer in wide integral base, wd. 15 in., ht. 22 in.